Paris Saint-Germain and Uruguay star, Edinson Cavani scored the only goal of the game against former Super Eagles goalkeeper, Vincent Enyeama at Lille on Friday. It was a vital goal, moving second-place PSG within three points of leader Nice, which will be confident of beating struggling Nantes at home on Sunday. Cavani scored the only goal that separated the two sides after receiving a connective pass from Di Maria to score against Enyeama in the 64th minute. After a shaky start, PSG controlled the first half but failed to capitalise, although Di Maria had a goal ruled out for a debatable handball. Di Maria’s last league goal was on April 16 and he was jeered by PSG’s fans for his poor performance against Marseille. 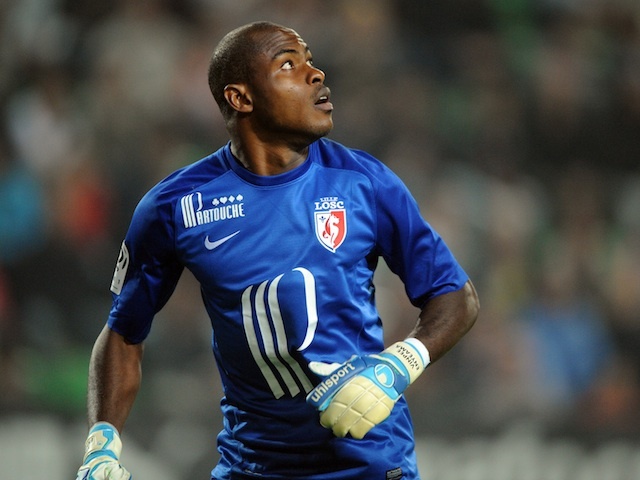 In the 17th he had a shot saved by Enyeama and Cavani scuffed the rebound from a narrow angle. Enyeama rushed off his line but Di Maria got there first and, following a rebound off the goalie’s body,poked the ball into the net. Lille pressured for an equaliser, but midfielder Younousse Sankhare, who started his career at PSG; somehow missed from close range.